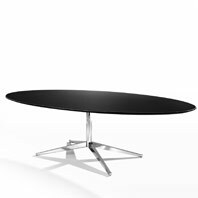 Après Furniture, specialist suppliers of modern office desks, offer you the choice of a wide range of contemporary office desk systems from Europe’s leading office furniture manufacturers. Office Desking has progressed significantly in the last few years in terms of ergonomic design, functionality and features. We at Apres Furniture offer a wide range of office workstations including modular system desking for today's modern open plan office, where staff may need to work closely in teams and communicate on a regular basis. Our range of modern office desk systems also includes single office desks ranging from standard office workstations to completely custom made executive desks. We are exceptionally proud of our executive desks, designed for high-level corporate office environments requiring functional and ergonomic features with a strong aesthetic. Businesses are increasingly recognising the need to look after their employee’s wellbeing, and this is something where a new office desk system can make a positive change to your business. We supply the latest in standing desk solutions so that users can change their position throughout the day from sit to standing positions. Studies have proven that alternating between standing and sitting at work have a positive effect on health and subsequently improves work rate and morale. Standing height desks are also ideal for new employees as well providing hot desking solutions due to their versatility. 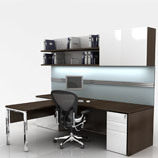 Modern office desks can therefore be all-inclusive or custom made for the individual. Many of our office desks offer integrated cable management, built-in power sources including USB charging points, screen dividers (fixed or adjustable), modular configurations, lockable storage and a variety of finishes and styles to complement your modern interior. Whatever your office requirements, we can supply you with office desks that are functional, stylish and meet the needs of all your office staff. We probably have the best range of quality modern office desks in the UK, following years of experience and knowledge in the office furniture industry. 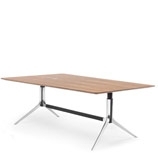 Standing office desks for sit stand working from maual crank handle to electric height adjustable desks. 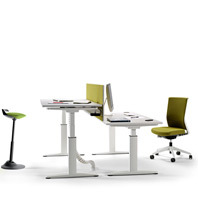 We offer a universal range of height adjustable desks for sit stand working. 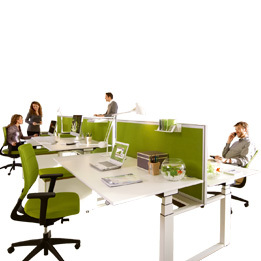 Work efficient quality office bench desks suitable for all workplace environments. 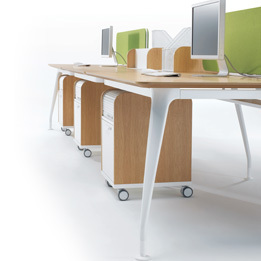 Find contemporary single office desks from classic desks to mobile innovative desk solutions. 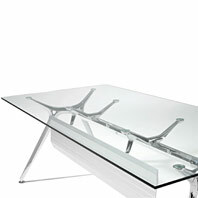 Architectural designer glass office desks in aluminium, wood or corian. Cellular office workwall desks made to your specifaication and office size. Open plan office desks to solve your workplace layout requirements & cater to your staff. 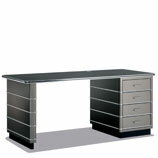 High quality executive office furniture desks for the prestigious management office. Sit-Stand Executive Desks for all management level cellular offices.